Junction stands for choice. 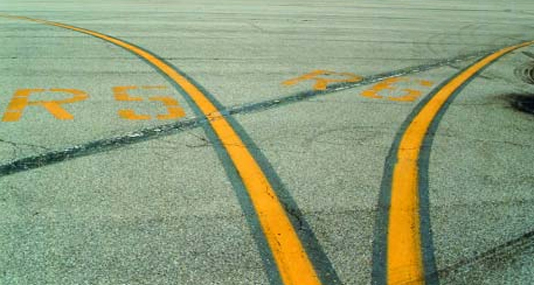 From this junction between the fittings (R5-R6) of Linate began everything. The accident, the tragedy, the dismay, the anger, the pain but also the choice of turning all this despair in a proactive commitment to Flight Safety, because it should not be repeated, to remember and be remembered. Even today this image represents what everyday the Foundation and its Technical Task Force face, in an attempt to support those who live in the choice, feeling alone, similar dramas and who want to make their contribution to the Flight Safety and of the System”. It’s with this spirit and dedication that the members of the Technical Task Force make available their competence, experience, passion, time and kindness to all the projects and activities which the Foundation achieves to ensure that tragedies as the Linate’s one will not happen again. With independence, impartiality, consistency, humility and honesty, the Technical Task Force has the commitment and the honor – without any economic or personal reward – to supply the ethical contribution, sometimes critical but always constructive, to the civil society and to the institutions of the aviation domain which worldwide operate to achieve higher standards for the flight safety, as well as the safeguard of both who operates into the aviation field and all the passengers, contributing to the continue distribution and implementation of the Aviation culture and its safety, and, in wider terms, to the safety of the individual. Fondazione 8 ottobre 2001’s members undertake the commitment to act in a right and honorable way, following their inspiring principles, and consequently defining high standards, aiming to fulfill them in all the aspects of their lives: on the job, at home and during the exercise of their work duties. 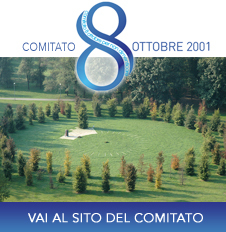 On 26 May 2004 the “Fondazione 8 ottobre 2001-not to forget” was established. It was set up as right result of the “Comitato 8 Ottobre – not to forget”, from the need to create an agency which could better represent the goals of the Comitato itself, taking every initiative and action designed to promote and improve Flight Safety and the Air Transport, in order to raise a greater resonance towards the Institutions, the aviation safety agencies and the public opinion. To achieve these objectives and so that the culture of Safety and Accident Prevention may become the first target of those who work in the aviation industry, the Foundation relies on the Technical Task Force, which consists of a group of aviation experts, all volunteers, among the most accredited in the international arena.